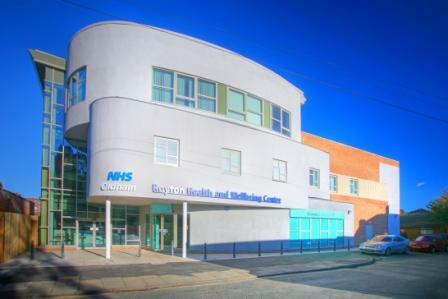 Royton Health and Wellbeing Centre is a replacement for Royton health centre and brings together a number of health and wellbeing services under one roof to provide a one-stop facility for around 20,000 patients. The three storey building in Royton town centre provides a range of services, including two GP practices, dental surgery, pharmacy, community nursing, specialist services such as orthoptics, podiatry and audiology as well as office space. The centre contributes to the overall regeneration master plan for Royton town centre. A new public realm area was created as part of the phase one works and the local community was consulted on what they would like this to be. Sustainability was a key consideration for Community 1st Oldham throughout the design process and the building incorporates a number of innovative features in order to deliver carbon savings and a reduced impact on the environment. 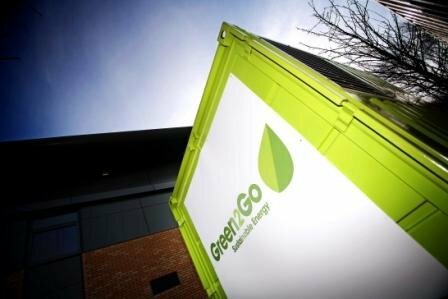 These features include a Combined Heat and Power (CHP) generating system which uses a waste product bio-fuel with low carbon emissions and provides a minimum of 70% of the building’s electricity and heat requirements, exceeding the local planning requirements of around 10% on-site generation. The generating system is also synchronised with the national grid which allows it to export electricity to the grid during periods of low demand at the centre. The use of this technology results in approximately 90% carbon reduction for the building and means the building can achieve the highest rating of energy performance certificate and also improved cost effectiveness in terms of running costs compared to existing public sector sites. 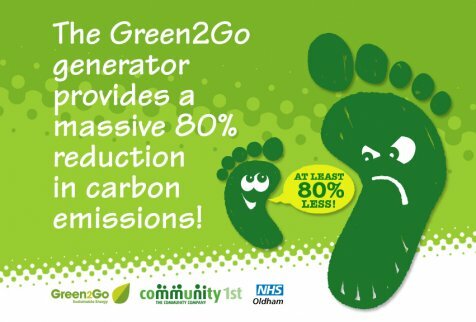 The ability to export electricity to the national grid gives the centre the opportunity to become carbon neutral by offsetting other sources of carbon emissions from the building. 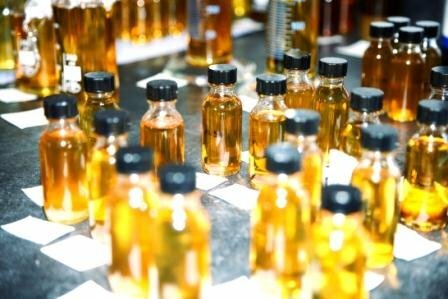 The CHP generating system is fuelled by a bio-mass fuel based 100% on waste used cooking oil which could otherwise end up in landfill. 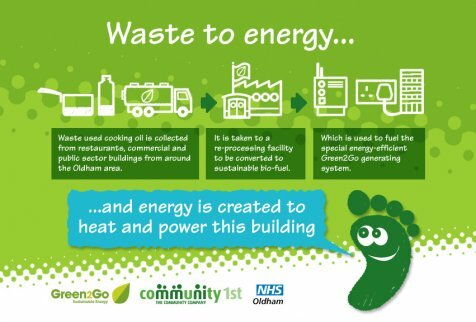 A collection scheme for waste cooking oil from public buildings and businesses in and around the Oldham borough is in place to support the supply requirements for this and other health and wellbeing facilities managed by Community 1st Oldham. Other sustainability features incorporated into the building include: rainwater harvesting, low energy lighting, passive ventilation and the use of sustainable materials and finishes wherever possible.